Happy Fourth of July everyone! This was a quiet week with only two sanctioned tournaments so read this quick and get back to explaining to your relatives how what you do is not “the frisbee golf.” That’s a real quote from about an hour ago. But before you dive into those awkward conversations, make sure to purchase a team video subscription! This year it has new benefits including a Mini Subscription for your entire roster and a guarantee of a getting your team on film if you attend an Ultiworld-covered tournament! Winnipeg General Strike bounced back from a pool play loss to Chicago Black Market to beat Madison Mad Men 11-10 in the final of Spirit of the Plains. Overall one-seed Dallas Nitro won their pool on tiebreakers and then swept through bracket play with two-point wins in quarters and semis to win Texas Two Finger. At Spirit of the Plains, Iowa Chad Larson Experience went undefeated with a 13-10 win in the final over Omaha Woodwork. Similarly, Austin Cosa Nostra capped their own undefeated weekend with a win over Chicago Shakedown 11-7 at Texas Two Finger. In a two team, two-game showdown,1 at Spirit of the Plains, Minneapolis Crackle beat Iowa Wild Rose in both games. First 13-7 and then 11-4. This coming weekend will be the kickoff of the 2018 Triple Crown Tour with Pro, Elite, and Select flight teams coming from around the country to Denver, CO to face off at the Pro-Elite Challenge. For most teams, it will be their first elite competition of the year and give us the first glimpse of the landscape of the division. It will also be a chance for teams to earn a bid to the Pro Championships in August. Will any teams be able to challenge Seattle Riot and Denver Molly Brown for the Women’s crown? 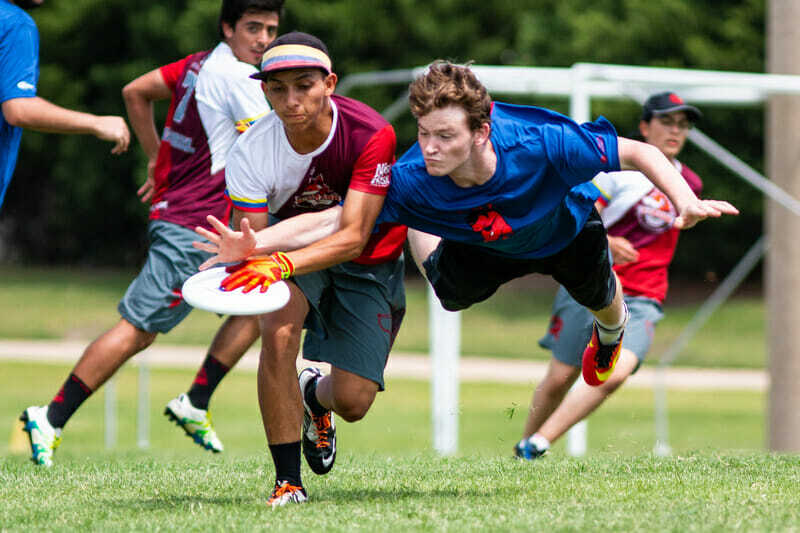 Which of the second tier of Men’s teams will show enough to be considered contenders with San Francisco Revolver? Will any of the Mixed teams who missed Nationals last year earn any big upset wins to claim a bid for their region? Ultiworld will have previews and recaps from each division. Also, we will be filming games for our video package and USAU will be live streaming multiple games on Sunday. Huckfest and Swan Boat will have competition in all three divisions in Alabama and Florida, respectively. Comments on "Club Update: A Quiet Weekend"